Tablecloths bring ambience and completeness to your dining experience. Whether formal or casual, it adds the special touch to the occasion that you would like to remember and celebrate. For formal dining, we suggest an 8 to 12 inch drops on all sides. For casual dining, a 6 to 8 inch drop is sufficient. For a more dramatic look, lengthen the drop on each side. This will create a puddle effect on the floor and is ideal for lavish celebrations. To determine the size you need, measure the length and width (or diameter, if you have a round table) of your table and add twice the desired drop to each figure. A 72" X 72" cloth will fit tables that are up to 32" X 32". These tables will seat 4-6 people. A 48" X 60" cloth will fit tables that are up 32" X 44". These tables will seat 4-6 people. A 72" X 90" cloth will fit tables that are up to 56" X 74". These tables will seat 6-8 people. A 72" X 108" cloth will fit tables that are up to 56" X 92". These tables will seat 8-10 people. A 36" cloth will fit tables 24" in diameter. These tables will seat 1-2 people. 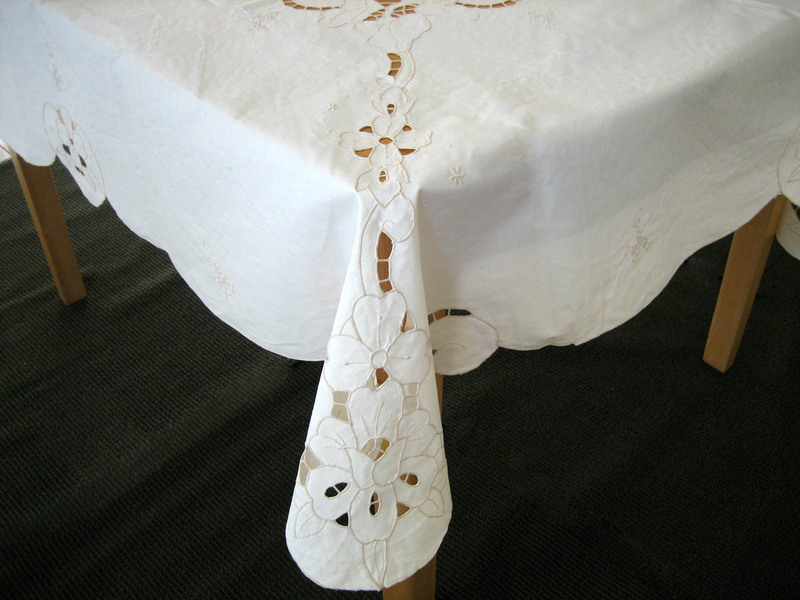 This size cloth is good for a small bistro table or side table. A 70" cloth will fit tables 54" in diameter. These tables will seat 6-8 people. A 90" cloth will fit tables 74" in diameter. These tables will seat 8-10 people.